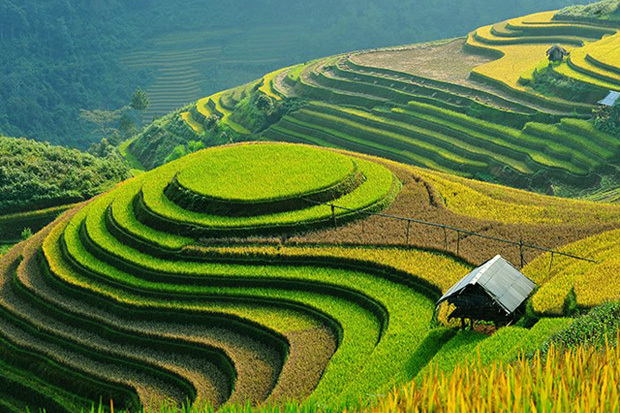 Send Itinerary to email "VIETNAM PANORAMA"
Viet Nam tour 10 days 9 days departure from the North to the South. Discover the most beautiful places of Viet Nam country such as: Ha Noi Capital, Ha Long Bay, Hue Imperial city, Da Nang, Hoi An acient town, Ho Chi Minh, Mekong delta. you will experience your value time with us, sastify our service and get unforgettable memories. Price: 49 Euros per day per person until: 30/12/2018. You will be welcomed by our guide when arrival at Hanoi Airport then transfer to your hotel with a comfortable vehicle. This day is scheduled to take some rest after your long flight. You have the opportunity to get some first impressions of the city by yourself and of course our tour guide is always available at your request. Free time to visit Ha Noi at night. 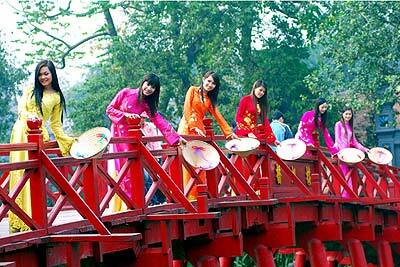 Today we have plenty of time to discover the pearl of South-East Asia; Hanoi. With charming streets, lined with dozens of old trees, beautiful lakes, colonial architecture and countless interesting monuments, this city will impress you with its lively characters. We begin our city-trip at the Restored Sword Lake, famous of the legend of the tortoise and the sword of 15th century. 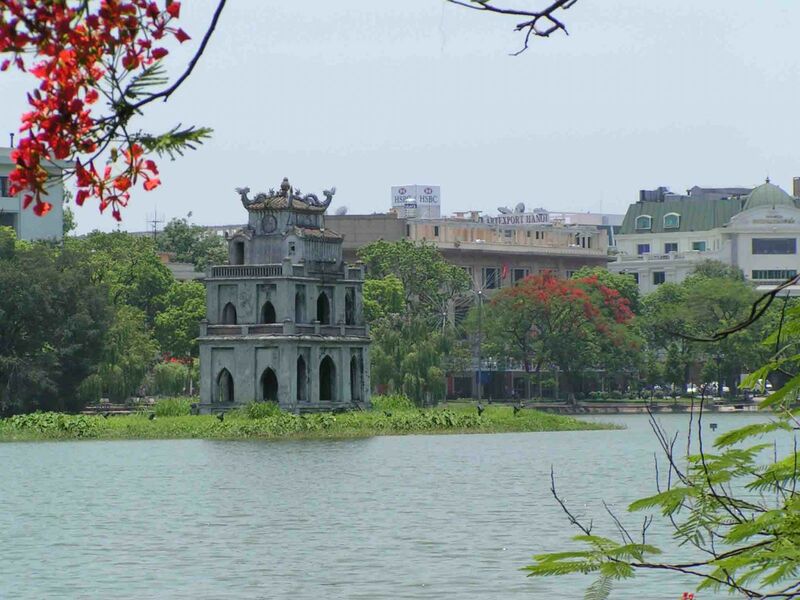 After the bombardment of this lake by the Americans in 1968 the huge turtle was killed and the little pagoda in the water is the final resting place of this legendary animal. We will continue our way with a visit to the Temple of Literature, dedicated to Confucius and his disciples. 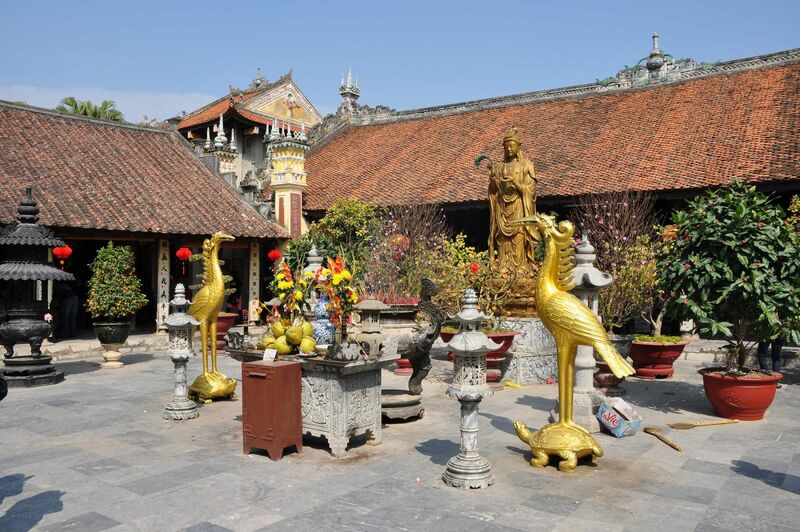 This temple used to be Vietnam's first university founded in 1076. After visiting this historical sight then we invite you to visit the Ho Chi Minh Mausoleum and the house of the hero Ho Chi Minh, who lives in the heart of every Vietnamese. We also bring a visit to the Tran Quoc Pagoda and the Quan Thanh Temple and finish our city-tour by participating in an one-hour ride in a traditional rickshaw (bike) around Hanoi’s old quarter. Free dinner. We overnight in Hanoi. 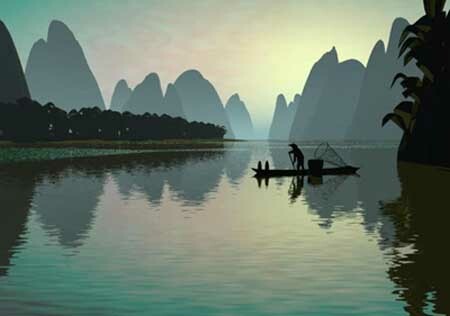 After a Vietnamese style breakfast we take you to one of the wonders of nature; Halong Bay. During our way we pass magnificent green rice paddies tended by peasant women with conical hats. The entire rice paddy strip is like a beautifully designed patchwork which leads us to the heart of the Red River Delta. In Halong City we enter to the boat for a full afternoon of cruising in the bay of the dragon, with more than 3000 limestone islands scattering up from the emerald water. An environment of sublime beauty and serenity. Ha Long Bay was recognized as Natural World Heritage by UNESCO in 1994 and is worldwide known for its unique landscape. We visit some of the most beautiful grottos and have the opportunity to get a panoramic view of the bay. Savor lunch on board with fresh seafood, including shrimps, squids, fishes and other delicious bites prepared by our professional cooks while cruise heads to center of Halong Bay. Explore Sung Sot Cave, the biggest cave in Halong Bay which famous for its wonderful stalactites and stalagmites. Attending cooking lesson to make some spring rolls by yourself. Enjoy a new day with complimentary tea and coffee served for light breakfast on board then join the kayak excursion. The boat will stop by Pearl Farm to study the culture pearl making process. Time for brunch while Cruise heads back to habor. 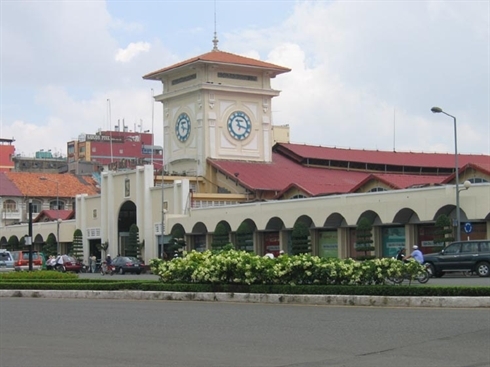 Arrive in Ha Noi and drop off Hanoi railway station for night train to Hue. Overnight on train. 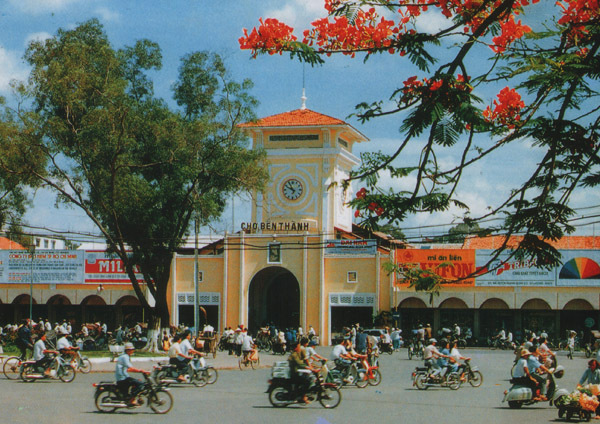 Arrival at Hue, the former capital of Vietnam (1802 -1945 under Nguyen Dynasty), is known as ‘the city of peace and poetry’. Our tourguide will pick you up from railway station then go to the hotel to leave the luggage . 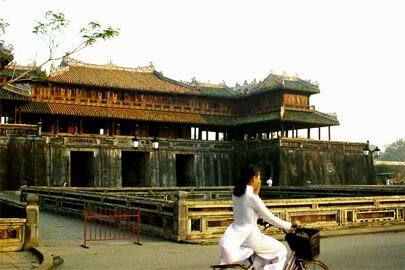 Have lunch Visit heritages in Hue city: Imperial City, Thien Mu pagoda, Khai Dinh Tomb. 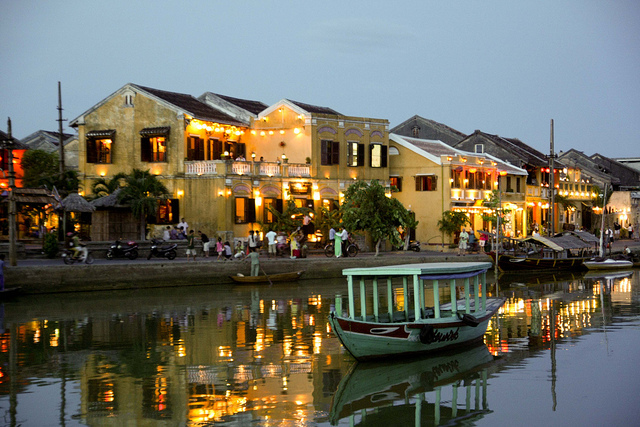 We leave towards Hoi An in the morning by the well-known and stunning Mandarin Road. On the top of the Ocean Cloud Pass, we have a panoramic view over Danang and the surrounding areas. In Danang city we visit the Marble Mountains, a set of 5 mountains which represent the 5 factors that symbolize our universe. From here, the view upon China Beach is breathtaking. We continue our trip by arriving in Hoian. Also this ancient town was recognized by UNESCO as being World Cultural Heritage in 1999. - Check out hotel we transfer you to Danang to take of for a short flight towards Ho Chi Minh City. 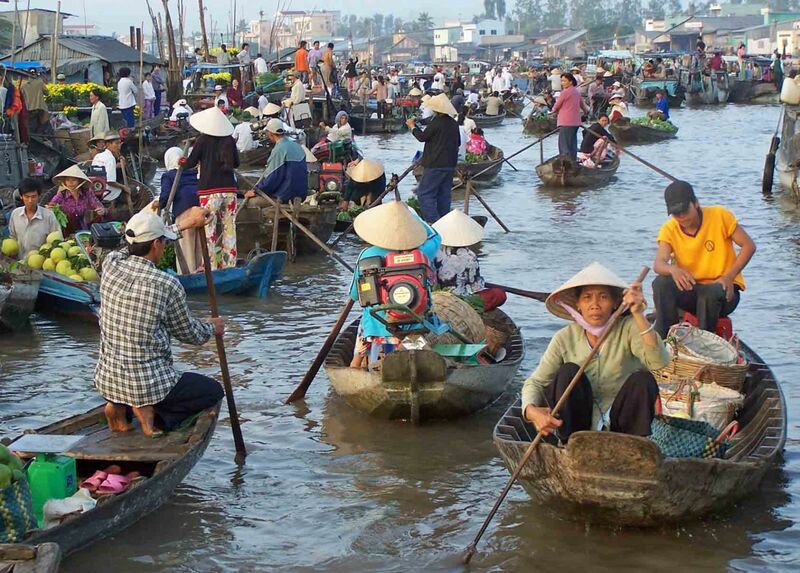 We are going to explore the vivid economic capital of Vietnam, Ho Chi Minh City. Take the morning trip to visit Independence Palace, also known at the Reunification palace, was built on the sight of the former Norodom palace. The Independence palace is a widely known landmark of Ho Chi Minh City and was designed by the architect Ngo Viet Thu. Continue seeingthe beautiful structures from the French Colonial times such as the Notre Dame Cathedral, the historic Central Post Office.Followed by the remarkable site of the War Remnants Museum the museum has a vast display of the both the Indochina wars. 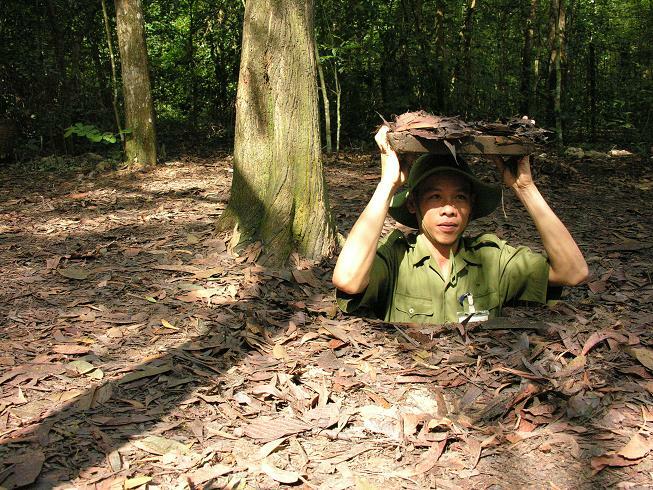 Depart for Cu Chi tunnel, the trip will take approximately one and a half hours bus driving. Upon arrival, before exploring the tunnels, you will have some short introduction followed by introductory video about how the tunnels were constructed and how the people survived in the harsh conditions of the war time. Then, spend your time to explore the remaining area and tunnel systems which included the special constructed living areas with kitchens, bedrooms side by side with other martial facilities like storage, weapons factories, field hospitals, and command centers helping whoever lives inside the tunnels meet their basic needs. Besides, there are also many hidden trap doors and dangerous traps within the maze-like tunnels for security purpose during the war. Afterward, special tea and cassava (guerilla’s food during the war) will be served. Return to Saigon. End trip. The Mekong Delta is formed by nine tributaries of the Mekong River and is often referred as the ‘rice bowl’ or the ‘garden from heaven’ of Vietnam. Because the soil is very rich you will find here countless green rice paddies and dozens of tropical fruits, which only grow in this certain area.